It's always a pleasure to welcome my fine friend, Joana Starnes, to the salon and today she returns to discuss children's literature in the long 18th century! 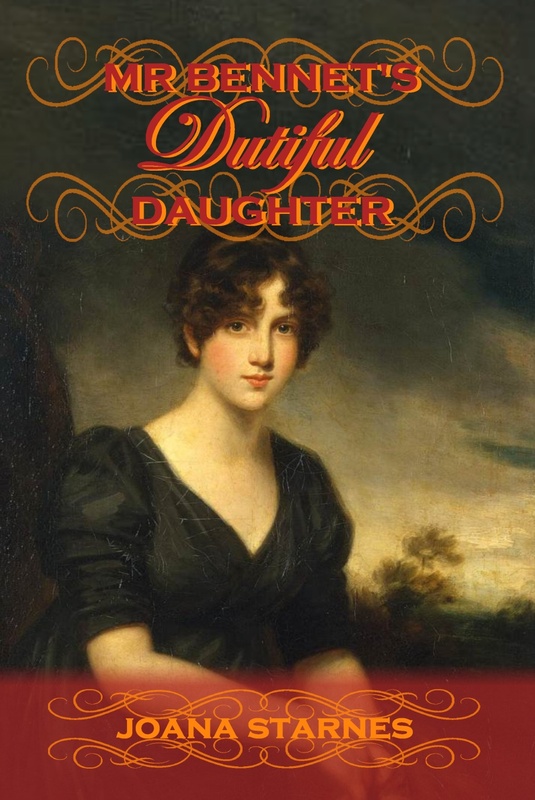 Lave a comment to be in with a chance of winning an ebook copy of Mr Bennet's Dutiful Daughter! Thank you, Catherine, for welcoming me here today on the blog tour for my latest Pride and Prejudice variation. Mr Bennet’s Dutiful Daughter is an early-marriage scenario where adverse circumstances compel Elizabeth to accept Mr Darcy’s hand long before she fell in love with him. A reckless choice to the modern woman – yet an eminently prudent one for a Georgian young lady with neither fortune nor connection. But I will not expand on Georgian mores, not here – you do it so much better than I ever will! Instead, please let me share what I discovered while I was looking into the number of things those timeless characters might have discovered they had in common. It might well be a cliché that Elizabeth and Mr Darcy would talk of books. 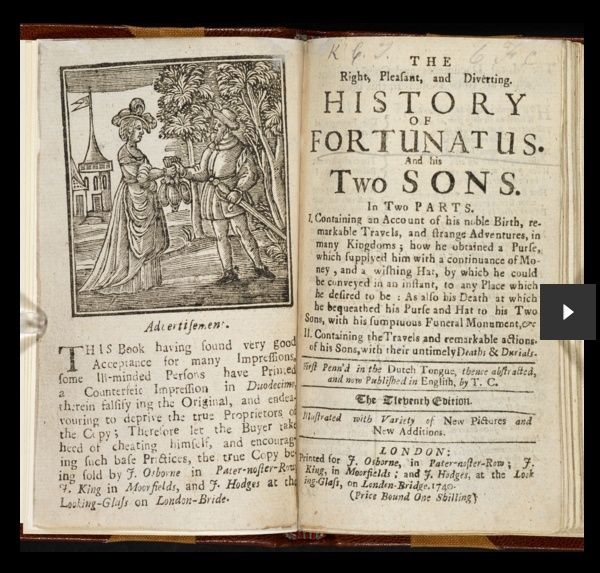 Setting aside the fact that she refused to discuss reading matter with him at the Netherfield ball, two people with such fondness for the printed word would eventually come to share the pleasure found in old favourites. To me, it was one of the steps towards learning more about each other, while a marriage of convenience and unequal affections grew into a union of all-abiding love. What is more touching than childhood memories, and what greater proof of trust than the willingness to share them? In Mr Bennet’s Dutiful Daughter Elizabeth and Mr Darcy share recollections of pilfering treats from the pantry and picnicking on the carpet – he with his closest cousin, she with her dearest sister – of romps and mischief, and also of quiet times with books. For Mr Bennet’s favourite daughter and a young boy brought up within reach of the extensive library at Pemberley, books would have doubtlessly held a significant place in their childhood. But what children’s books were available at the time? I must admit that the attention given to the entertainment element was a great surprise to me. In many early 18th century sources I have found how children were expected to behave like mini-adults (indeed, boys were dressed as mini-adults from the day they were breeched), and while Rousseau and Locke inspired a more liberal attitude to child education for a while, the Victorians came to slow down the process, enforce ‘seen but not heard’ edicts and enshrine the moralising rhyme, the learning by rote and the ubiquitous cane as primary educational tools. Of course, the cane was an inescapable part of a child’s education until astoundingly recent times, and the Georgians would not have had many scruples about wielding it either. 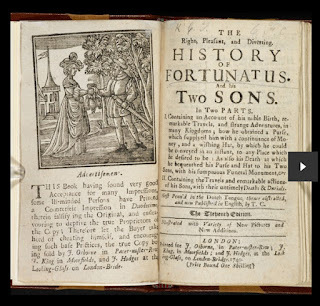 Yet, to my surprise, I discovered that their children were not expected to amuse themselves with some condensed version of Gibbon’s History of the Roman Empire, nor solely with James Janeway’s ‘Exact Account of the Conversion, Holy and Exemplary Lives and Joyful Deaths of Several Young Children’ . Beautifully illustrated spelling books have survived from Queen Anne’s time, and if the modern eye is rather surprised to find that ‘Cherries are pleasant Fruit for Youth to eat’ in roughly the same place in the book as directions for spelling a-po-cry-pha, well, at least those youngsters must have had a rich vocabulary. 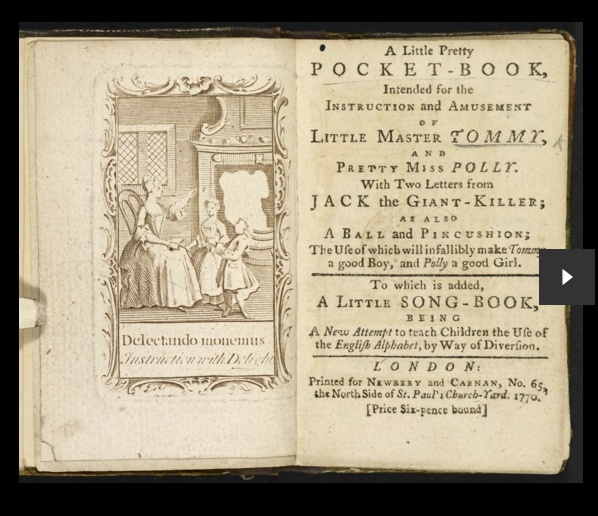 Rather than focusing on moral instruction, from the earliest years of the 18th century children’s books had begun to be attractive, colourful and fun. 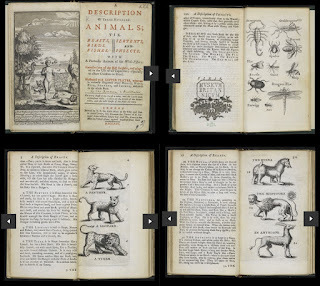 What better fodder for a young Fitzwilliam Darcy’s imagination than a book he might have found in his father’s library, depicting hundreds of beasts, serpents and insects? He could have spent hours reading about panthers, tigers and scorpions, as well as mythical creatures such as the unicorn and the manticora. How about Elizabeth? 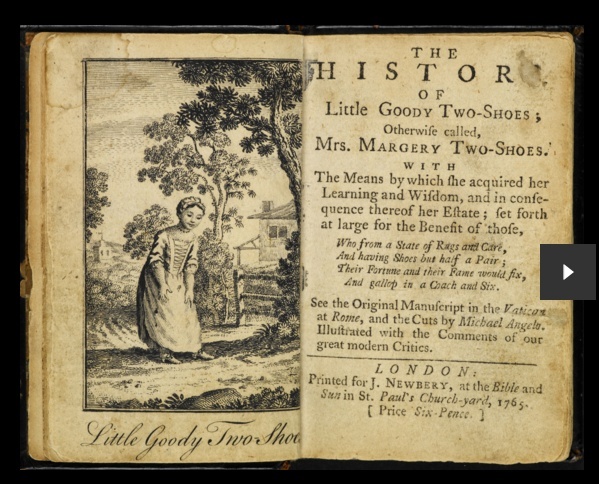 She might easily have read the tale of Miss Goody Two-Shoes (1765), where the orphaned heroine grows from rags to riches, becomes a schoolmistress and marries the local landowner – so far, so good. But the tale is not aiming for the happily ever after. Instead, Miss Margery inherits her husband’s wealth when he passes away and uses it to help the poor, as she herself was helped as a child. 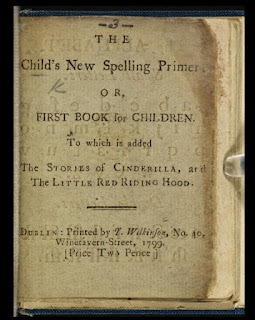 Miss Goody’s tale might be a far cry from the fairytale message we are familiar with, but would you have guessed that, just like little girls nowadays, an eight- or nine-year-old Elizabeth Bennet could have easily read the story of ‘Cinderilla’ and Little Red Riding Hood – if she was not a fictional character herself, that is? The Pretty Little Pocket Book was most innovatively sold with a ball for boys and a pincushion for girls, so that good and bad deeds could be recorded by sticking a pin on the red or the black side of the ball/pincushion. 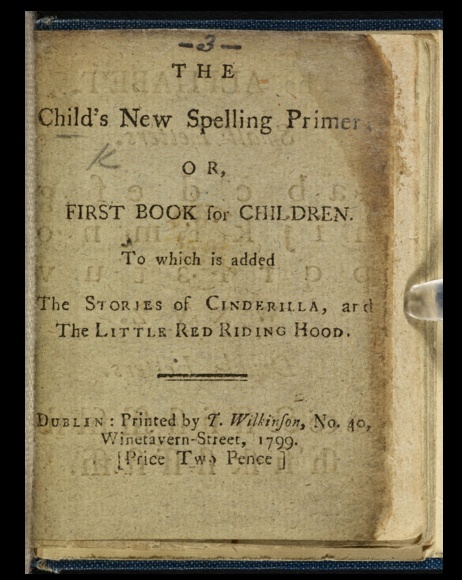 This was the first book published by John Newbery for the entertainment of children. He became known as the father of children’s literature because he was able to turn it into a commercial success. 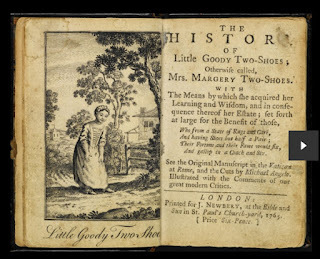 Miss Goody’s tale was his most famous work, and might be regarded as the first children’s novel. An astute businessman, he even started publishing a periodical for children, The Liliputian Magazine, that included stories, riddles and rhymes. His business flourished, was passed to his descendants and survived into the 19th century. Unlike Mr Newbery’s, in Mr Bennet’s Dutiful Daughter Mr Howe’s bookselling business is fictional, as is his shop and its Darcy patrons – more the pity! But if you would like to read more about Mr Darcy, his family’s purchases at Howe’s and his resulting penchant for currant oatcakes, please leave a comment to enter the international giveaway of a Kindle copy. Also, if you follow the blog tour you might learn more about the oatcakes in a few days’ time. Thank you for stopping by to read this post and many thanks again, Catherine, for the wonderful welcome! 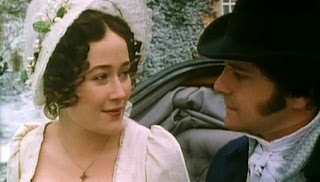 When Colonel Fitzwilliam’s disclosures are interrupted by the bearer of distressing news from Longbourn, Miss Elizabeth Bennet is compelled to consider an offer she would have otherwise dismissed out of hand. An offer of marriage from the all-too-proud Mr Darcy. Yet how is she to live with a husband she hardly knows and does not love? Would she be trapped in a marriage of convenience while events conspire to divide them? Or would love grow as, day by day and hour after hour, she learns to understand the man she married, before she loses his trust and his heart? 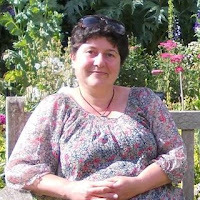 Joana Starnes lives in the south of England with her family. A medical graduate, in more recent years she has developed an unrelated but enduring fascination with Georgian Britain in general and the works of Jane Austen in particular, as well as with the remarkable and flamboyant set of people who have given the Regency Period its charm and sparkle. * 'The Unthinkable Triangle', a 'Pride & Prejudice' variation that dwells on the most uncomfortable love-triangle of them all. What if Mr. Darcy's rival for Miss Bennet's hand and heart is none other than his dearest, closest friend? And how can they all find their 'happily-ever-after'? *'Miss Darcy's Companion' - a variation that explores what might have happened if the warm-hearted Miss Elizabeth Bennet were employed instead of the scheming Mrs Younge. Written content of this post copyright © Joana Starnes, 2016. Goodness, so that's where the term "Goody Two-Shoes" comes from! You know, I found an article on-line about Victorian children's fiction - written not long after the Victorian era, actually - and it suggested that the parodies of famous poems in the Alice novels were send ups of the sort of things children had to study at the time Lewis Carroll was writing - and that kids would have been rolling around laughing at them. Bless him! I know - after the Georgian era. But you have to wonder what was in the minds of the authors of improving children's books when they wrote that stuff. Nice to know there were some who thought that maybe children might like to enjoy their reading. What interesting information! I always enjoy reading what Joana Starnes has to say. She provides so much information in her novels that they teach us as well as entertain. Fascinating introduction to children's literature. I can picture ODC comparing their impressions and finding out they are so much alike. Thanks for stopping by to read the post and leave this fascinating comment, Sue. 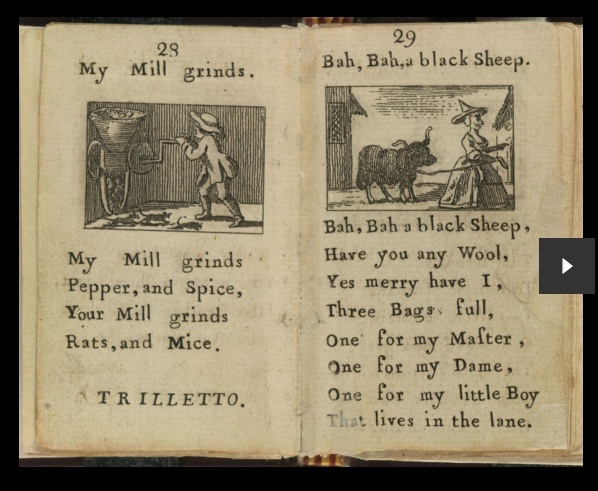 So amazing, what you were saying about the article on Victorian children's fiction! Goodness, yes, what WERE they thinking? Especially Mr Janeway with his 'Exemplary Lives and Joyful Deaths of Several Young Children' Good heavens!! Thanks for stopping by, lovely to hear from you! What an entertaining post... thankfully children's literature has come a long way! I, myself, love children's books and loved learning a bit about what may have been influential reading picks in Darcy's and Elizabeth's lives. Thanks for hosting, Joana, at your lovely blog, Catherine! What an education that was! Who knew that there was such an amount of children,s literature available back then. Well, obviously you two do! Thanks so much for sharing it with us. The scene where Darcy and Elizabeth share their childhood experiences is one of my favourites in the book. 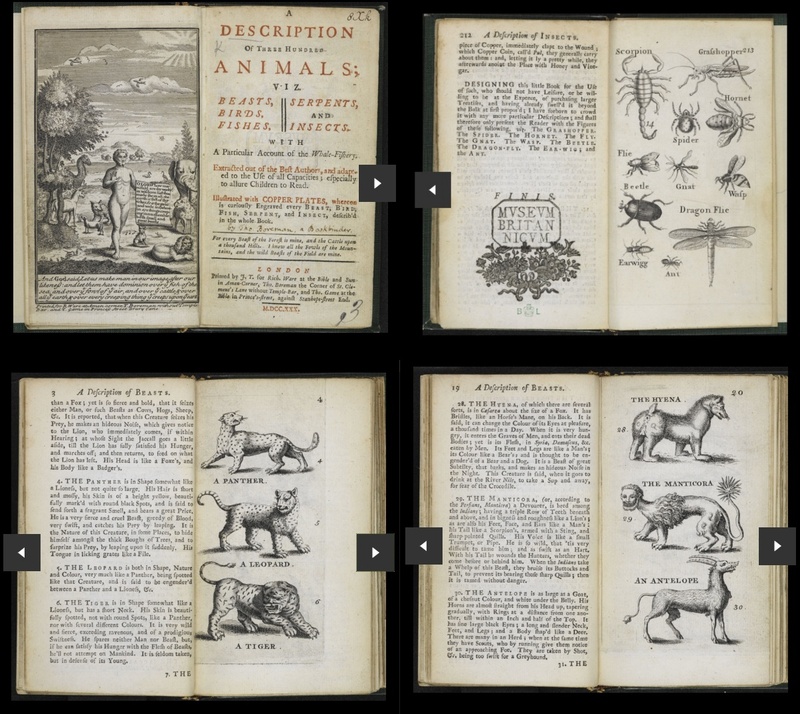 The book about animals, both real and mythical, sounds fascinating and a bit like "Fantastical Beasts and Where to Find Them". Can't wait to read more about currant oatcakes -- might just try to dig up a recipe after I leave this page. I would certainly think that childhood readings would help shape a person's character. I still love to read Grimm and Andersen and Tanglewood Tales -- yes, children's stories are often better than stories for adults. Being a dancer I agree that books are one of the last things one discusses on a dance floor! Many thanks for this wonderful post and delightful comments -- and thank you for offering this giveaway! Thanks for sharing this info, it is interesting how much has changed. Best of luck in the giveaway and thanks for taking part! Oh yes, Claudine, thank goodness children's books have come such a long way! I'm so glad you liked the post! Huge thanks again to both of you for this wonderful blog tour! I'm so glad you liked the post, Anji! The breath of children's literature available at the time was such a surprise to me too! 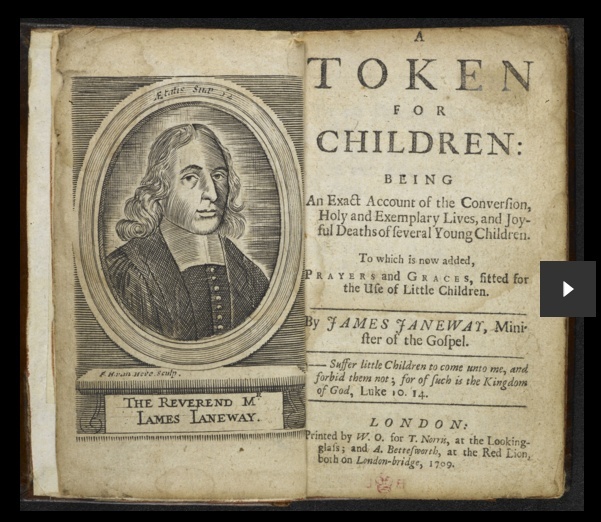 I imagined they would be expected to either read books for adults or moralising tracts, not that there would be so many books published for children's entertainment. And when I found 'Cinderilla' and Little Red Riding Hood my jaw dropped! Thanks for following the blog tour, much appreciated, and I'm so happy you loved that scene in the book!! Not long now and the full truth about the oatcakes will be revealed :D It will be posted at Tamara's 'My Kids Led Me Back to P&P' on Sunday. I hope you'll try the recipe and that you'll like the oatcakes. I'm so glad you liked this post and that Grimm and Andersen are still among your favourites. I haven't read the Tanglewood Tales but grew up reading and loving Mark Twain's. Luckily for me, I haven't heard anything about the infamous shinbone comment :D until I had already developed a great admiration for his work (The Diary of Adam and Eve is, I believe, one of the most wonderfully moving books I've ever read, especially the amazing closing line). Thanks for stopping by and best of luck in the giveaway! An absolute pleasure, Kerry Liz! Many thanks for reading and best wishes. Thank you for sharing! Very interesting! :) So much has changed! Thank goodness for that, Daniela :) I'm so glad you liked the post. Thanks for reading and best of luck in the giveaway!